OHDS students have many opportunities to learn by doing. 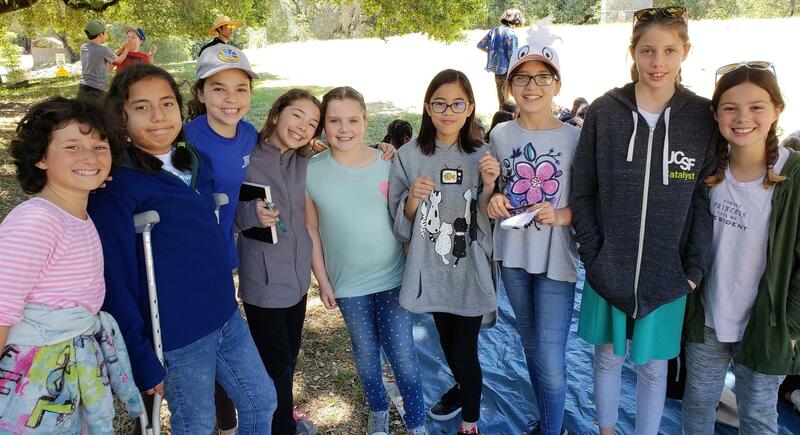 In addition to hands-on classroom learning activities, students benefit from regular participation in curriculum-aligned field trips, overnights, elective options, tinkering and learning through service to others. Located on the third floor and facilitated by our middle school science teacher, the OHDS Flex Lab provides students with the opportunity to engage in a variety of design-based learning experiences. Students might visit the flex lab with their class as an extension of classroom learning, participate in a flex lab elective or, as middle schoolers, they may use the flex lab to create Hebrew videos on the green screen or to pursue an independent project of their choosing. Students across the grades engage in service learning projects that connect to thematic curriculum for their grade. The service learning cycle includes research, discussions, field trips and volunteer work as students learn and work to make a difference in their world.